To see three multi-international competition winning pianists jockeying for position at the same piano is a rare sight indeed. The fact that this virtuosic show of force is usually shared with a packed hall, and that the artists seem to enjoy their collaboration as much as the audience, is less surprising if you are familiar with Angela Cheng, Alan Chow and Alvin Chow. 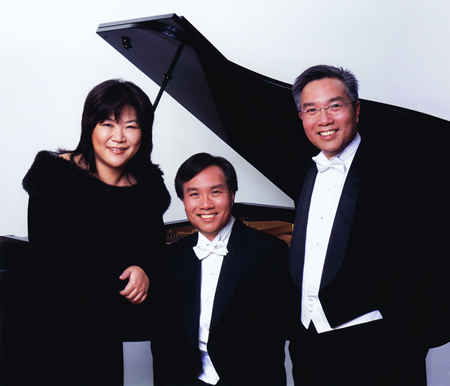 The three got to know each other when they studied at the same time at The Juilliard School and their performances feature the them in different combinations on two pianos and in spectacular arrangements which feature all three artists at the same piano.